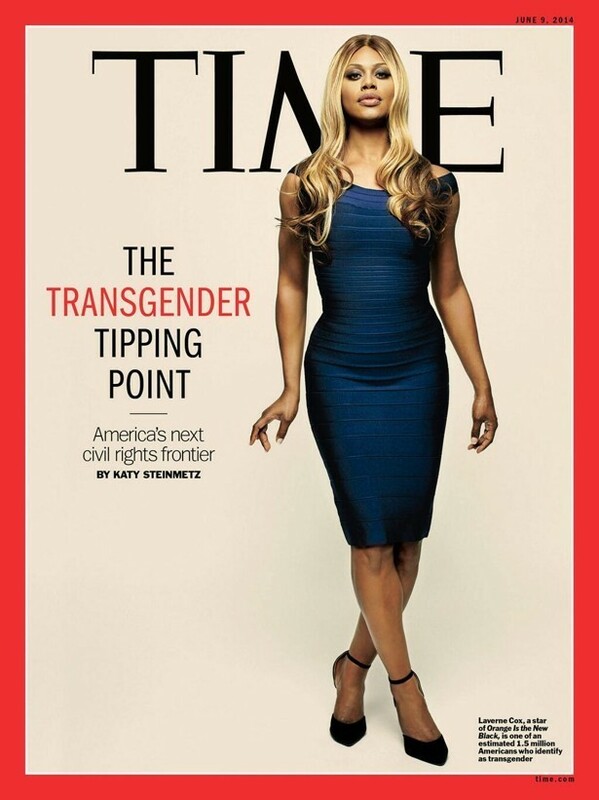 Media: All Trans, All the Time: The dominant secular media have pushed the “transgender” agenda relentlessly in recent years, as illustrated by this 2014 TIME magazine story celebrating the alleged cultural “Transgender Tipping Point.” Pictured on the cover is biological male and “Orange Is the New Black” star Laverne Cox, who claims to be a woman and who crusades for “trans rights.” Click to enlarge. The memorandum said individuals with a history of gender dysphoria, defined as “those who may require substantial medical treatment, including through medical drugs or surgery,” are disqualified from military service “except under certain limited circumstances.” Those who are currently in the United States military may remain in the ranks, but the Pentagon could require them to serve according to their gender at birth. In a memo to the president, Defense Secretary Jim Mattis cited “substantial risks” about military personnel who seek to change or who question their gender identity. He found that individuals with a history or diagnosis of gender dysphoria presented a risk to military effectiveness and “could undermine readiness, disrupt unit cohesion, and impose an unreasonable burden on the military that is not conducive to military effectiveness and lethality.” This new policy will enable the military to apply well-established mental and physical health standards—including those regarding the use of medical drugs—equally to all individuals who want to join and fight for the best military force the world has ever seen. 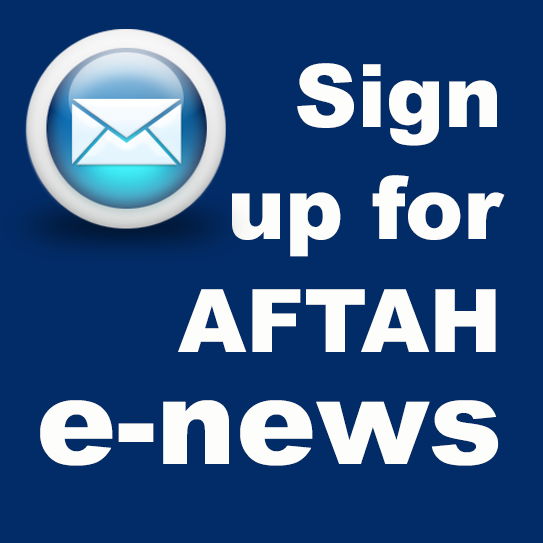 Those who have already been serving prior to the effective date of the new policy will not be discharged. Two U.S. district courts, one in the District of Columbia and one in Maryland, previously blocked enforcement of President Trump’s proposed August 2017 ban on “transgender” persons in the armed services. According to the Defense Department, those courts required the branches to begin allowing such recruits to sign up for military service. A third order by a U.S. District judge also allowed the state to challenge the ban, stating that Washington has an interest in protecting its residents from discrimination. Those Days Are Gone….for LGBTQ activists. Although Trump has already made some key capitulations to the LGBTQueer agenda, he has also disappointed homosexual and gender-confusion activist in major ways. Obama’s immoral LGBTQ legacy is astonishing and much of it will be hard to undo. 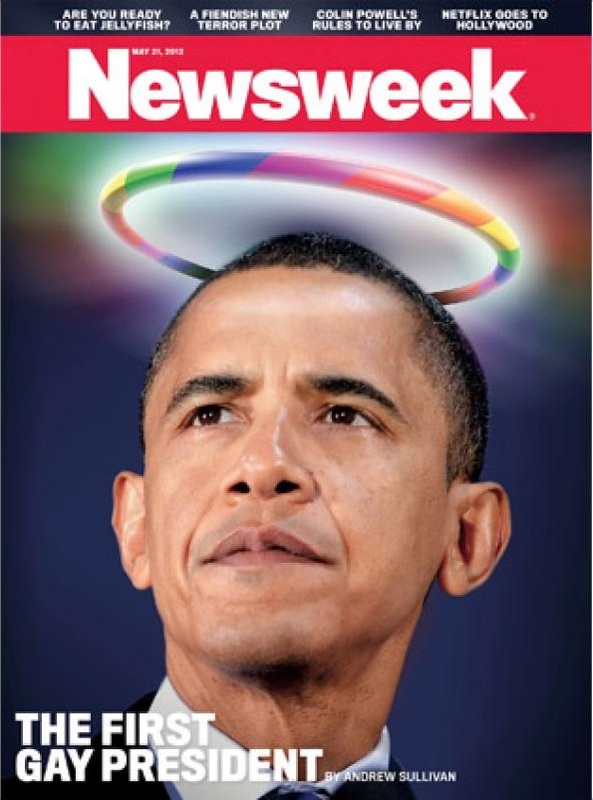 This Newsweek cover accompanied an adoring 2012 piece on Obama by homosexual writer Andrew Sullivan. Folks, after President Trump flubbed it bigtime by extending Obama’s LGBT executive order on federal contractors (and declaring as president-elect that SCOTUS-imposed homosexual “marriage” is settled law), he has done the right thing here by letting Obama’s intrusive “transgender” executive order die in court. Now a note to AFTAH’s readers and supporters: if you haven’t figured it out yet, here is our approach toward President Trump and the LGBTQueer agenda: “Don’t really trust, and verify.” When he does right, like in NOT pushing gender confusion in schools, we will praise him. 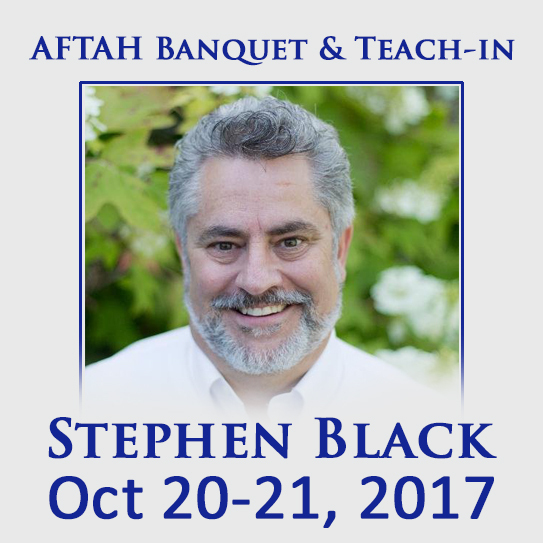 When he advances the “gay/trans” agenda, through action or non-action, we will criticize him. I say this as a Cruz guy in the primaries who voted for Trump Nov. 8, and who would do so again: it is my longstanding conviction that God doesn’t give a pass to “Republican-backed” Sin Movements. Morality and biblical Truth know no party. So all you diehard, Trump-can-do-no-wrong fans: don’t bother urging us to go easy on Trump or look the other way when he enables homo-immorality, because we simply cannot–especially after hammering pro-sin Democrats all these years. If you thought President Trump hit the ground running, you should see Jeff Sessions. The new attorney general was probably still unpacking his office when he got to work turning the page at the Justice Department after eight years of scandal. First up? The Obama bathroom mandate for public schools. 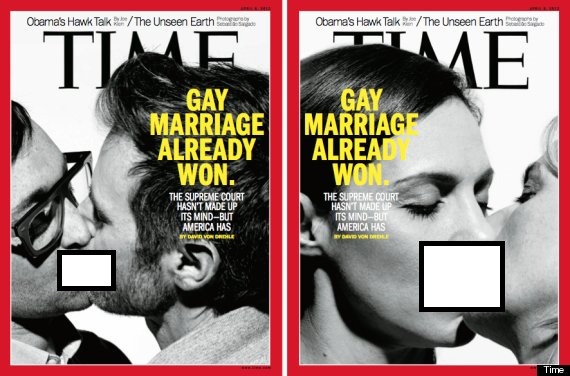 TIME magazine covers, blocked for decency’s sake by AFTAH. 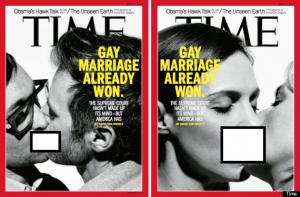 TIME managing editor Richard Stengel says the homosexual kisses are “beautiful and symbolized the love that is at the heart of the idea of marriage.” Click on graphic to enlarge. A pro-family leader asserts that while “nothing’s inevitable,” the media and now members of the Republican Party are helping promote the homosexual agenda. The April 8 issue of TIME has two different covers with the same theme. One features two women kissing, and the other shows two men doing the same. “Gay Marriage Already Won. The Supreme Court Hasn’t Made Up Its Mind – but America Has” is printed in yellow across the two black and white covers. 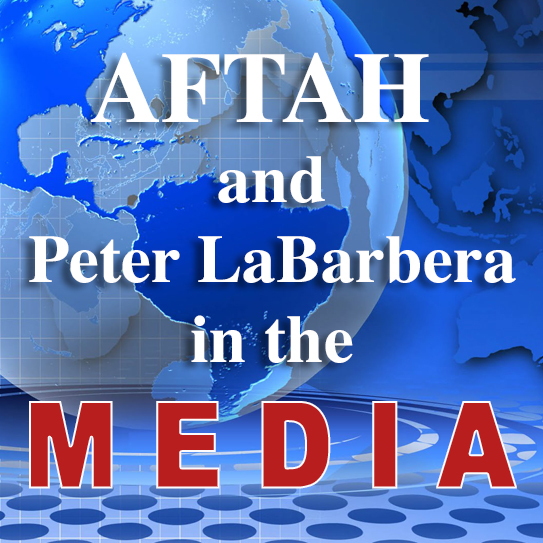 But Peter LaBarbera of Americans for Truth About Homosexuality (AFTAH) is “upset” by how the magazine is jumping the gun. And LaBarbera is especially dismayed that the order to print the photos came from the top. Marriage has historically been between a man and a woman, and he asserts that media moguls cannot change that. 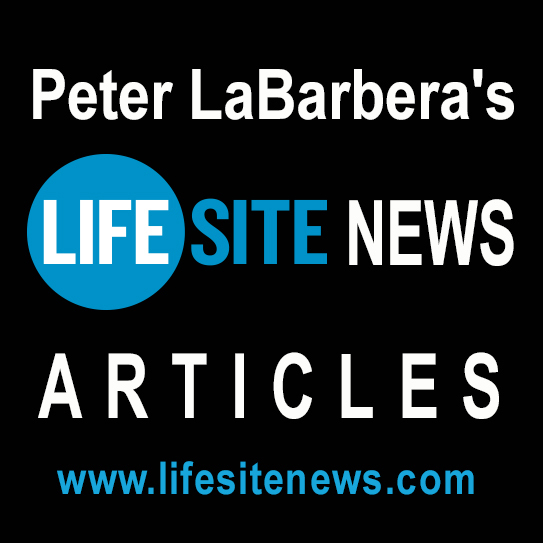 LaBarbera adds that the media and the far left are confused, and he submits that the article and cover photos are a sellout to the homosexual lobby, as corporate America supports TIME through its advertising dollars. Are the Media Promoting Atheism? 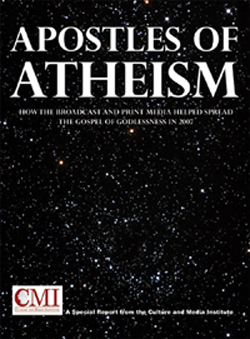 The following is the Executive Summary of the Culture and Media Institute’s (CMI) special report, “Apostles of Atheism: How the broadcast and print media helped spread the Gospel of Godlessness in 2007,” by Kristen Fyfe. Click HERE for the full report in HTML, and you can view the PDF Version HERE. Only eight percent of Americans are atheists, according to the National Cultural Values Survey,* yet atheism was the “it” religion in 2007, with just three best-selling books generating much of the media coverage. Christianity Today put the topic at No. 2 in its Top 10 list of religion stories for last year. “The Roar of Atheist Books” was the seventh biggest religion story of 2007 according to Time magazine. Media indifference and even hostility toward religion in general and Christianity in particular has been well documented by the Media Research Center for years. With the ascendancy of atheism as a “religion” story, the Media Research Center’s Culture and Media Institute wondered whether the media gave atheism the same degree of scrutiny as Christianity and other religious faiths? 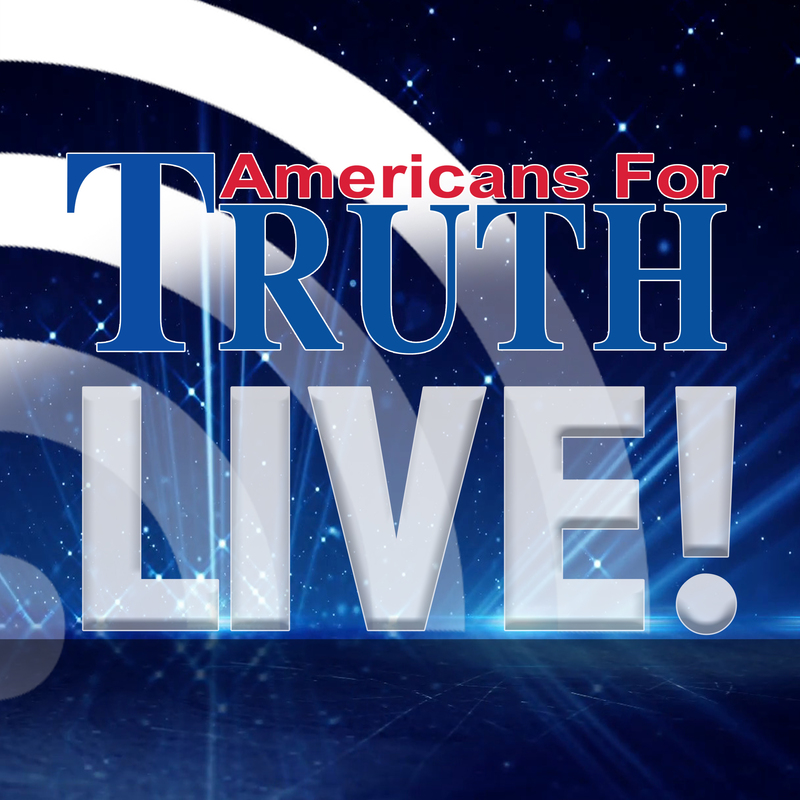 To assess the news media’s coverage of atheism in 2007, CMI examined the morning, evening, late night and weekend news programs on all three broadcast networks, all issues of the three leading weekly news magazines (Newsweek, Time and U.S. News and World Report), and four programs aired on taxpayer-funded National Public Radio (Morning Edition, Weekend Edition, All Things Considered and Talk of the Nation).